Great experience... just that the time given a bit rush for photography side and shopping at premium outlet. Admire Japan's famous mountain from the 5th Station viewing deck then gaze upon the untamed beauty of Mt. Fuji over a barbecue lunch cooked on hot stone lava plates from the very same mountain! 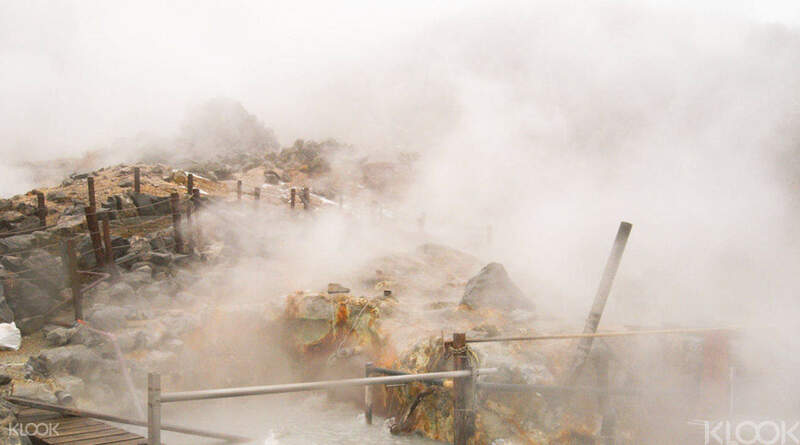 Close your eyes and ease into the steamy onsen (hot spring) while taking a breath of crisp Japanese mountain air. 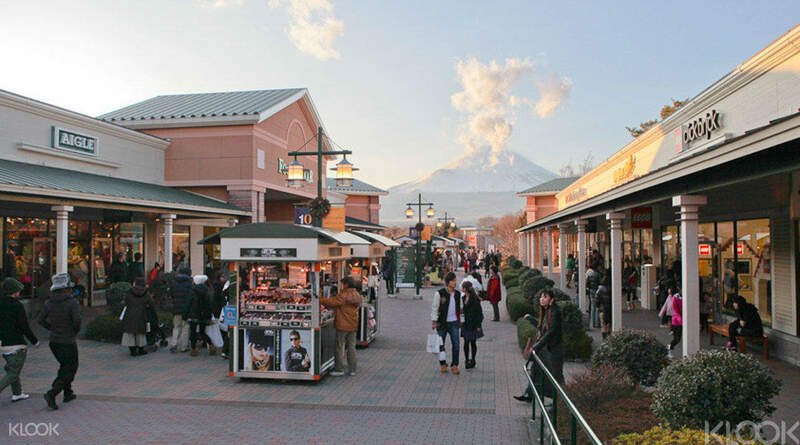 Then fulfill your shopping needs at the Gotemba Premium Outlets, the largest outlet mall in Japan. This 1-day tour provides a relaxing means of exploring around Mt. Fuji without the hassle of organising transportation. The best experience that should be try if you have free time and if you don’t want to go with the hassle to go to Mt. 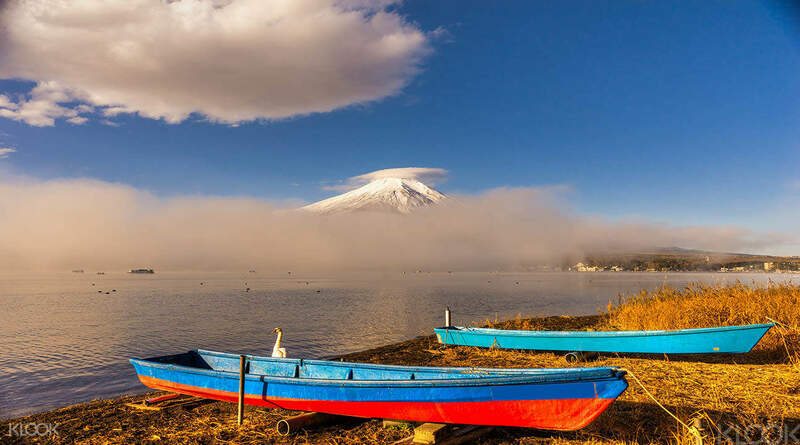 Fuji on your own, this travel package really suits you. The bus that been provided is quite big and clean. Our tour guide, Mr. Take is such a nice guy and so knowledgeable. He provided us with so many information and history about Mt. Fuji. For lunch, the Sukiyaki also have 2 options, it is either beef or vegetarian. And for Onsen, if you don’t want to go for it, there is an option for massage chair while you waiting for your family who wanted to do Onsen. For Gotemba Outlet, it is such a big outlet with so many brands such Gucci, Champion, Nike, Adidas, Tory Burch, Michael Kors, Fendi, Burberry, Alexander Wang, and so many more. My overall experience is I am so happy after I finished this tour. The best experience that should be try if you have free time and if you don’t want to go with the hassle to go to Mt. Fuji on your own, this travel package really suits you. The bus that been provided is quite big and clean. Our tour guide, Mr. Take is such a nice guy and so knowledgeable. He provided us with so many information and history about Mt. Fuji. For lunch, the Sukiyaki also have 2 options, it is either beef or vegetarian. And for Onsen, if you don’t want to go for it, there is an option for massage chair while you waiting for your family who wanted to do Onsen. 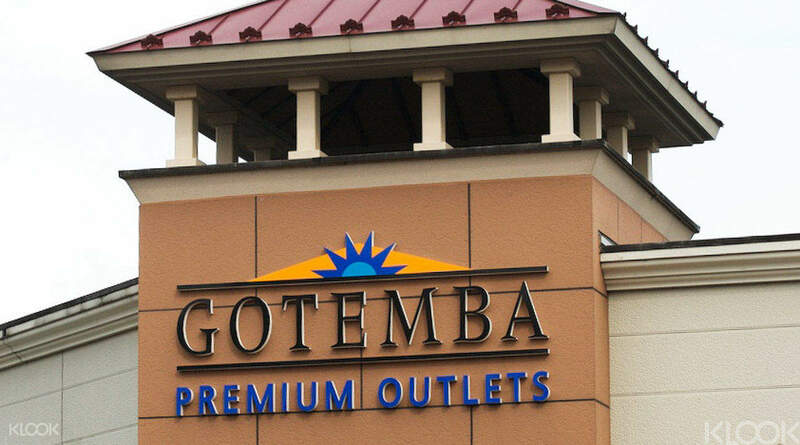 For Gotemba Outlet, it is such a big outlet with so many brands such Gucci, Champion, Nike, Adidas, Tory Burch, Michael Kors, Fendi, Burberry, Alexander Wang, and so many more. My overall experience is I am so happy after I finished this tour. Took this tour in October just when the weather is starting to turn chilly. Mt Fuji was 3 degree Celsius on our visit, do bring ur jacket when u alight from the bus. The view was breathtaking! Our tour guide, an elderly old man that has hiked the mountain over 30 times, spoke fair English, do pay attention if you would like to understand him. He has hand drawn maps for easy understanding. Light sense of humor - appreciate it! We wish the stay on mt Fuji and in the onsen could be longer, only 30min and 60min respectively. 60min onsen means probably just a brief soak in 2 baths. Overall this trip is good value for money. The experience is memorable. Took this tour in October just when the weather is starting to turn chilly. Mt Fuji was 3 degree Celsius on our visit, do bring ur jacket when u alight from the bus. The view was breathtaking! Our tour guide, an elderly old man that has hiked the mountain over 30 times, spoke fair English, do pay attention if you would like to understand him. He has hand drawn maps for easy understanding. Light sense of humor - appreciate it! We wish the stay on mt Fuji and in the onsen could be longer, only 30min and 60min respectively. 60min onsen means probably just a brief soak in 2 baths. Overall this trip is good value for money. The experience is memorable. This trip is highly recommended. It gives ease and comfort to people who want to see Mt. Fuji & outlet shopping minus the hassle. Big bonus was the shopping voucher they give you to use for the Gotemba Outlet. Don't forget to bring your passports to avail of the tax-free prices! This trip is highly recommended. It gives ease and comfort to people who want to see Mt. Fuji & outlet shopping minus the hassle. Big bonus was the shopping voucher they give you to use for the Gotemba Outlet. Don't forget to bring your passports to avail of the tax-free prices! It was very good experience. The staff are very accommodating. We are lucky that it was not very cloudy and we were able to see Mt. Fuji. For the Gotemba part, I hope they can extend the time. Two hours is too short for shopping. It was very good experience. The staff are very accommodating. We are lucky that it was not very cloudy and we were able to see Mt. Fuji. For the Gotemba part, I hope they can extend the time. Two hours is too short for shopping. Our guide Mr Shin San was very good. His english is understandable, he do a lot of explanation along the way. We manage to see clear view of Mount Fuji at the first stop at lake. But when we reach 5th station it started to snow and become cloudy, which block Mount Fuji. The lunch was normal. Never try the hot spring. The Gotemba Outlet was normal too. The usual older stocks in sale. Overall the trip was great. Our guide Mr Shin San was very good. His english is understandable, he do a lot of explanation along the way. We manage to see clear view of Mount Fuji at the first stop at lake. But when we reach 5th station it started to snow and become cloudy, which block Mount Fuji. The lunch was normal. Never try the hot spring. The Gotemba Outlet was normal too. The usual older stocks in sale. Overall the trip was great. Mica (tourist guide) is very nice. Although the time spent for each stop are short, our group enjoyed it because we get to experince 4 different attraction: mt fuji, lakeside, onsen, gotemba outlet. Its worth it !!!!! Mica (tourist guide) is very nice. Although the time spent for each stop are short, our group enjoyed it because we get to experince 4 different attraction: mt fuji, lakeside, onsen, gotemba outlet. Its worth it !!!!! Our tour guide, Yoko, was very nice and spoke very well in English. She was also very professional when it came to dealing with people who were consistently late in returning to the bus. We had a great time and would recommend this trip to everyone. Even in June, it does get a bit cold at the 5th station so bring your jacket. Do also remember to bring your passport along for tax rebate at Gotemba outlets. Our tour guide, Yoko, was very nice and spoke very well in English. She was also very professional when it came to dealing with people who were consistently late in returning to the bus. We had a great time and would recommend this trip to everyone. Even in June, it does get a bit cold at the 5th station so bring your jacket. Do also remember to bring your passport along for tax rebate at Gotemba outlets. Braved the cold for this! Mount fuji is very beautiful! This package will bring you to the 5th station wherein it’s closest to Fuji. Braved the cold for this! Mount fuji is very beautiful! This package will bring you to the 5th station wherein it’s closest to Fuji.